Keta Keta, creators of such classics as Make Love, Not War, Holy Land, Koolanoo and hair loss drug Propecia are out with an election parody for LastMinuteTravelClub. 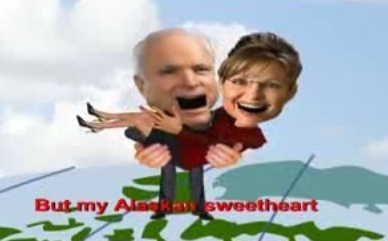 Throughout the video, in which Obama, McCain, Palin, Clinton and others dance around Jib Jab-style, "Product placements" appear for LastMinuteTravel. Hey, can you really blame anyone for latching on to this train wreck? There's no reason those who are one with the environment and those who are one with muscle car-style power can't come together in blissful harmony. Created by Montreal-based PALM Communication, this Volkswagen TDI commercial brings together two people in a seemingly unlikely match to illustrate there's no reason power and the environment can't co-exist. Now if only the "drill, baby, drill" people and the "yes we can" people would engage in a massive group hug. Only in advertising are such unlikely matches made possible. Just when you think every last idea for selling deodorant has been done, Axe comes up with yet another. 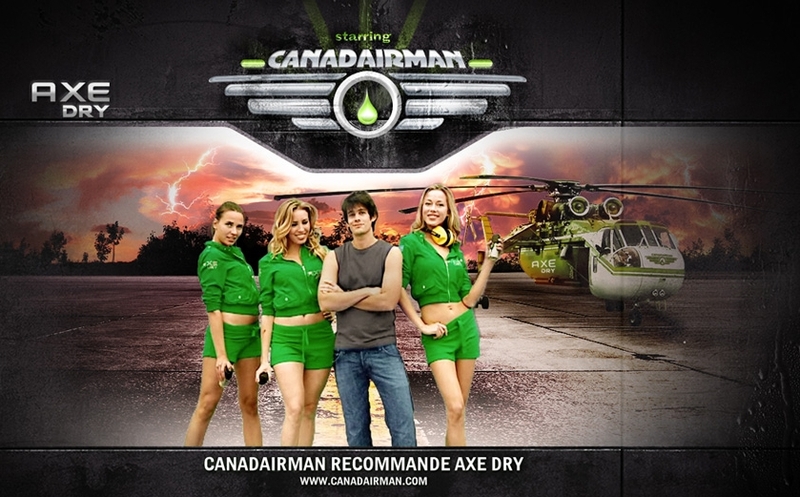 In a nod to earlier work centered on a guy who sweats like a fire hydrant, Axe has launched Canadairman, a dude who, because he sweats so much, is used as a means to extinguish a raging fire enveloping a residential area. On the site, the campaign is extended to widgets, mobile, wallpaper and, of course, a Facebook page. MasterCard's "Priceless" is one of those campaigns you wanna milk as long as possible: it makes a statement about what people value, and potential variations are endless. But the "product, price tag; product, price tag; sentiment = priceless" formula has gotten stale. And unfortunately for MasterCard, competitors like Visa and American Express have taken advantage of its stagnation to launch their own heart-wrenching commentaries on society. Not one to sit idly by while its nemesis gets a $300 million makeover, Apple is out with two new commercials, one of which directly comments on the amount of money Microsoft is spending on its current advertising campaign. In the ad, we see PC divvying up Microsoft's budget allocating the lion's share to the ad campaign and a minuscule amount to fixing Vista's problems. Mac comments on the seemingly illogical allocation which causes PC to think for a minute before he reallocates in a manner not quite expected by Mac. It's pointed commentary on the all too common viewpoint advertising can cure all ills. In "Fridge Magnet," a Guinness truck stops in a Buenos Aires neighborhood, gets all magically magnetic and starts drawing refrigerators to itself. Notably, one random guy looks down at his glass of Guinness, which appears to be frothing mischievously. There's a beer with some naughty ideas ... and possibly a deep-seated affection for puns. 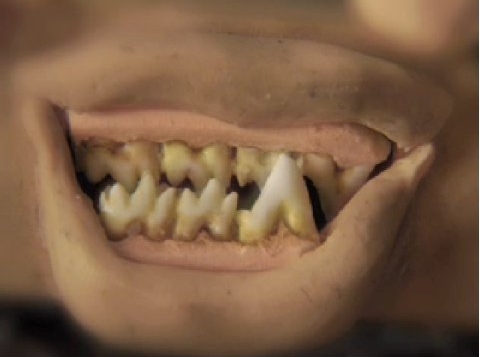 "It's alive inside," the ad concludes -- half-joking, half-not. By Irish International BBDO. I liked Saatchi & Saatchi's "Spoken Word" better, but "Fridge Magnet" is more in line with the casual "beer" persona. It also manages to pull that off without forsaking Guinness's sense of playful enigma. Nice. This is disturbing. Seriously disturbing. Like a scene out of a old Vincent Price movie, a talking mousetrap taunts a mouse on the prowl for the cheese bait atop the trap. With equal levels of confidence and outright psychotic insanity, the trap beckons to the mouse until...snap...the trap captures the mouse. But that's not where the story ends. Oh no. As the trap continues to creepily taunt the mouse quietly listens then makes an important decision. It eats the cheese and, because this is a dairy product ad touting the category's strengthening qualities, lifts the mousetrap bar and scurries away to the dismay of the mousetrap. There quote a few of these oddities over ar Must Drink More Milk. Created by Tribal DDB Vancouver, the commercial is for the British Columbia Dairy Foundation. Weiden + Kennedy has created another beautiful commercial for Nike. This one is direct by David Fincher and illustrates the glory of life's successes and accomplishments by following the lives and differing skills of two child athletes turned NFL football players, LaDainian Tomlinson and Troy Polamalu. Adding appropriate emotion to the commercial is a remix of Ennio Marricone's moving L'estasi Dell'oro from the classic film The Good, The Bad and the Ugly, a film everyone should see if only for its grandiose spaghetti western cheesiness. Not to mention Clint Eastwood in his early cowboy years.